Fish market in Sao Vicente. Santiago offers bustling markets, nightlife, hiking trails and spectacular scenery. With time to also explore São Vicente, its capital, Mindelo, gateway to the stunning island of Santo Antão. In contrast, Boa Vista and Sal are renowned for having the best beaches in the archipelago and offer a variety of water sports. 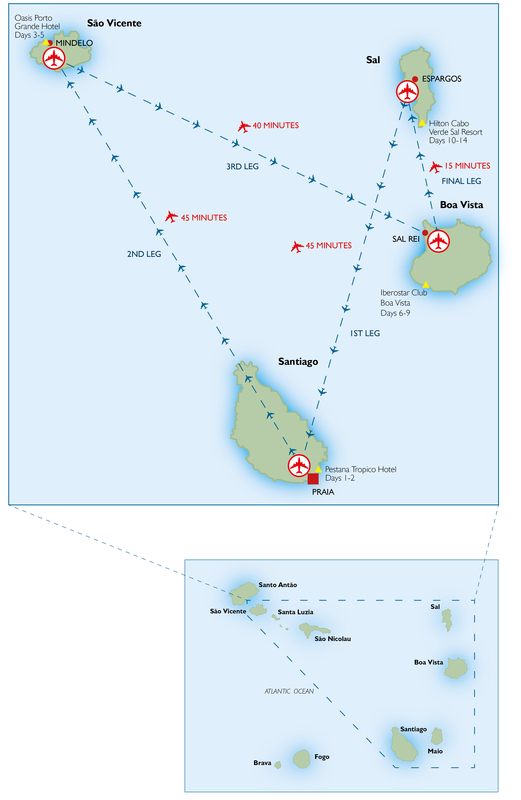 After touching down on Sal board your onward flight straight to Santiago, the largest Island in the archipelago with craggy mountains and lush valleys, the extreme opposite to Sal. Built on a plateau of rock and overspilling onto the land below its steep cliffs, Praia the capital of the island is mostly African yet Mediterranean as well. The main square on the Plateau houses some noteworthy buildings including the old Palace of the Council, the Presidential Palace and the old Catholic Cathedral. A statue of Diogo Gomes, one of the two discoverers of Santiago, stands just outside the square. On São Vicente, stay in the capital Mindelo where you will have plenty of time to explore. Mindelo, the capital of São Vicente has plenty of places to observe Cape Verdean culture. At the Centro Nacional Artesanato it is possible to watch Cape Verdeans weaving cloth and making ceramics. There are an abundance of restaurants and bars that have live music, both morna, the bitter sweet sounds and the more lively funana. For something a little different, visit Santa Luzia an uninhabited island close to São Vicente that has beautiful deserted beaches and dunes in the south which can be reached by finding a fisherman in Calhau who is willing to take you. The rest of the trip is a more relaxing affair with time spent on both Sal and Boa Vista. The landscape on Boa Vista is ever changing with the spectacular moving with the winds. Saharan like oasis' are dotted around the interior and depending on the time of year, turtles can be spotted on some of the beaches. A plethora of water sports awaits visitors to Sal and in addition to the white sandy beaches, the main attractions are the salt flats at Pedra de Lume. The natural swimming pools and underwater caves at Buracano are also great place to cool off for a quick dip. 14-night island hopping itinerary that explores four very different islands. All year round, any day of the week (depending on international flight departure days from your choice of UK airports). Upon your arrival in Sal by your international flight, you will travel to Santiago, Sao Vicente, Boa Vista and return to Sal by internal flights. These flights are provided by Binter and whilst every effort will be made to book direct flights, due to schedule limitations, these flights may be indirect. It should also be noted that internal flights can and do change schedules and flights are sometimes cancelled, delayed or even early! Due to the travelling involved on our island hopping itineraries we don’t recommend this type of holiday for young children. A comfortable hotel located on a promontory overlooking the Atlantic Ocean, with reputedly one of the best restaurants on the island. A comfortable hotel next to the central square of vibrant Mindelo, one of the most important cultural centres of Cape Verde. 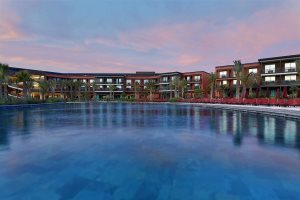 Boasting a remarkable location overlooking one of the finest beaches in the whole of Cape Verde, the Iberostar Club Boa Vista promises an unforgettable stay amid the coastal beauty of this alluring island. 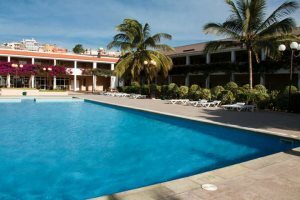 An exciting and rewarding Hilton resort, based beside the stunning sands of Santa Maria Beach, promising a fulfilling holiday experience on the island of Sal.